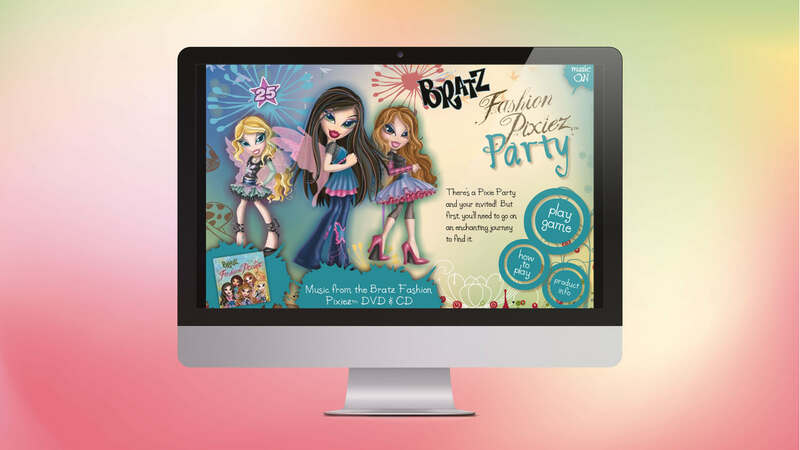 MGA Entertainment, owner of the popular Bratz line of toys, engaged EKR to promote the release of their Fashion Pixiez product line through the creation of an online game. 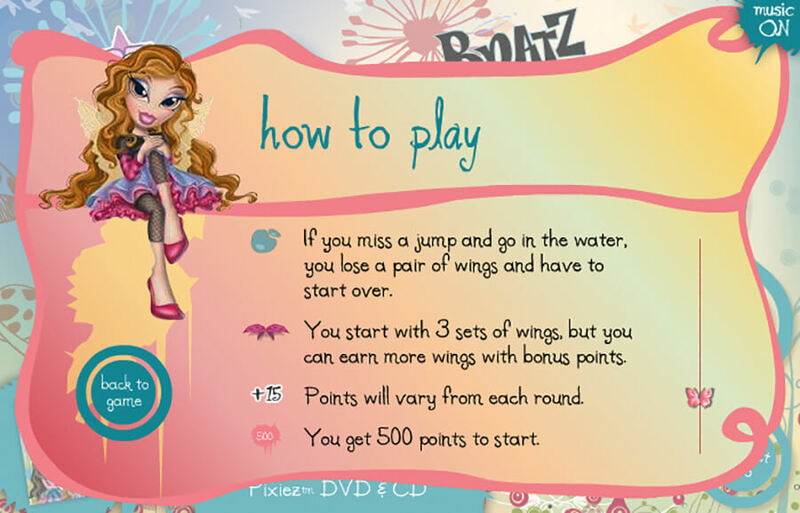 EKR’s illustration, design and programming teams collaborated to effectively produce an engaging online game for promotion of the Bratz Fashion Pixiez product line. 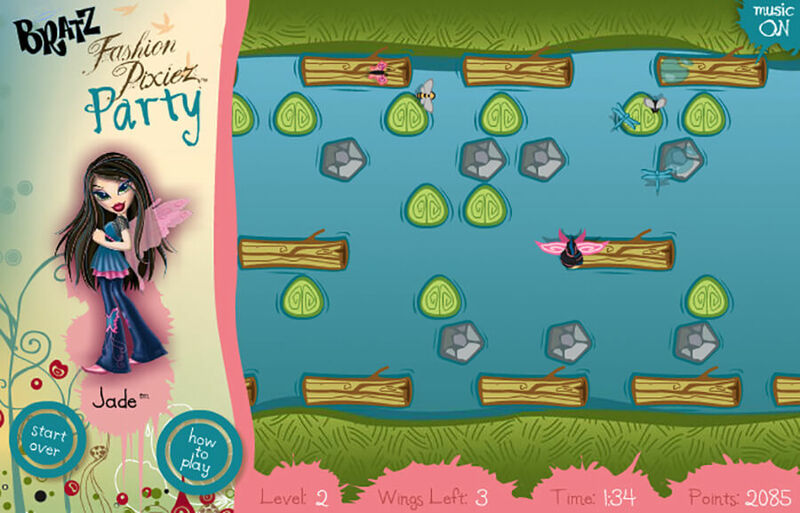 The “Frogger” style game included several levels of varying difficulty, animation and interaction, all showcased by custom-illustrated environments and iconography. 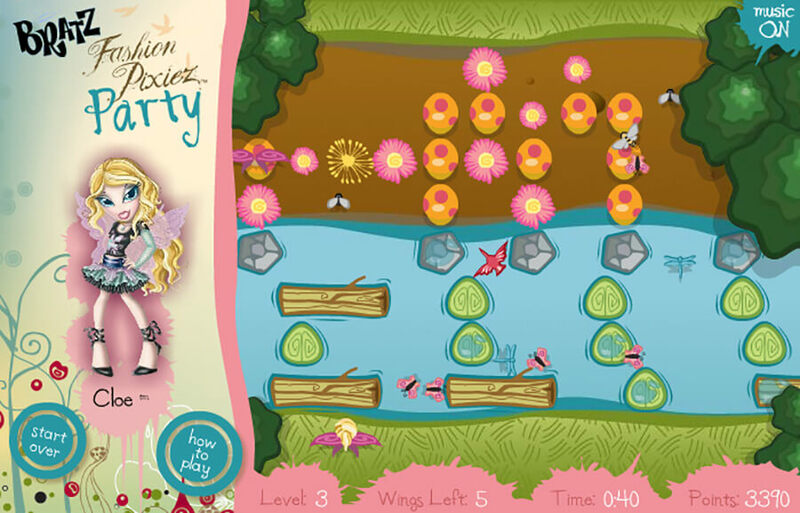 EKR’s illustration team created icons, images and environments for integration into the game engine. 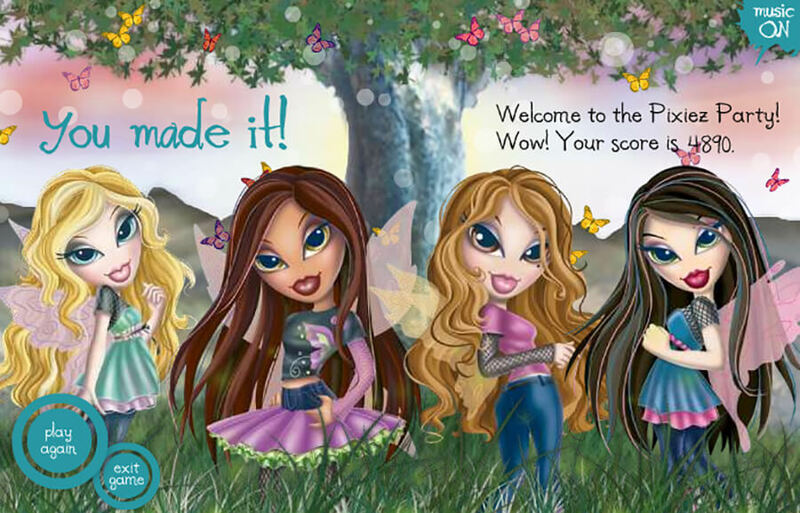 Each element was illustrated in adherence with the requirements of the Bratz brand standards. 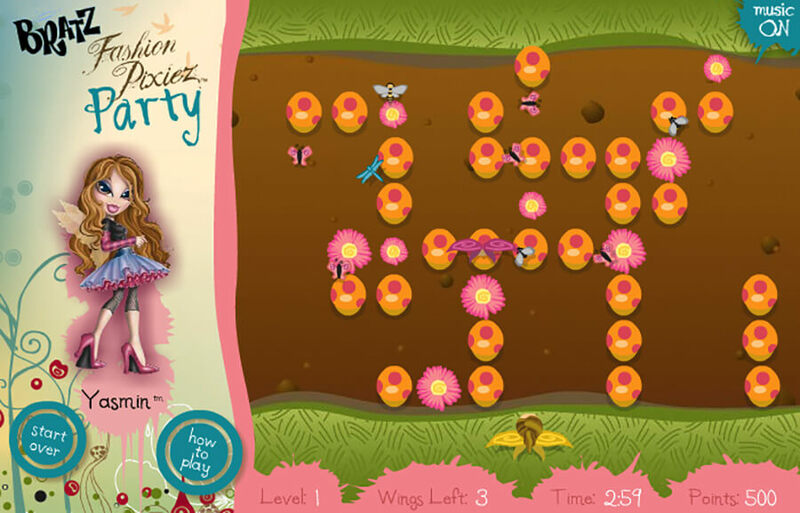 EKR’s internal UI/UX team designed the game, masterfully creating level designs with increasing difficulty and rewards to engage the game player. 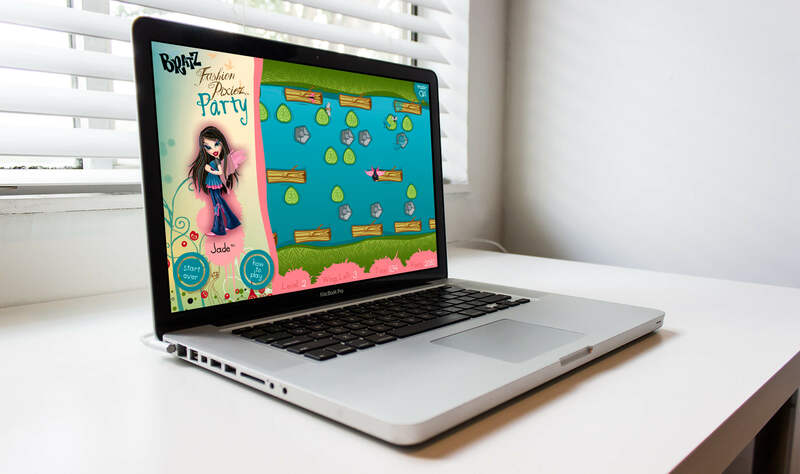 Following game and level design, EKR’s development team programmed the game architecture using Flash as the deployment platform consistent with the Bratz website standards.